Rita was a happily married woman until her husband was murdered in a feud between local families. She was about twenty-four at the time and had two young sons. Fearing that her in-laws would demand retribution, she prayed that her sons would not become involved. The answer to her prayers was one she hardly expected. The boys both died of natural causes in their early teens. Alone now, she found strength in prayer. 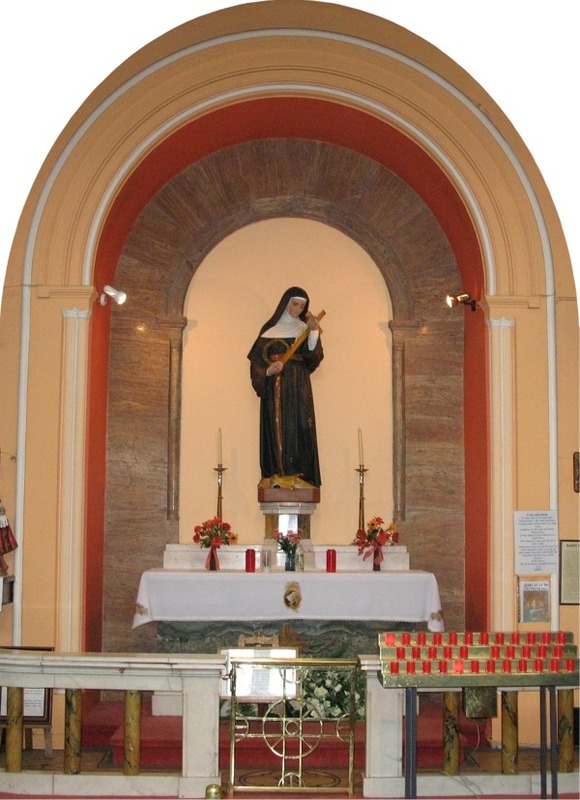 She felt called to devote her life to continual prayer in the contemplative community of Augustinian nuns in Cascia. Her first attempts to join the community were thwarted. She was told to go and make peace between her family and that of her husband’s assassins. This she did and was then received into the community. For the rest of her life she was renowned as a great peacemaker. For the last fifteen years of her life she shared in the suffering of our Lord’s passion in a remarkable way. She bore on her forehead a wound similar to that made on the forehead of Jesus by the crown of thorns. After her death on 22nd May 1447 she was immediately venerated as a saint. She has been honoured ever since as the saint of ordinary people and as the Saint of the Impossible. (Augustinian Missal).